Philips X-treme Vision +130 offers maximum performance from a halogen OEM fitment bulb. Uses the latest generation bulb technology that offers 130% more light on the road in comparison to a standard bulb. See more on the road ahead! Up to 20% whiter (3700K vs 3200K) light than standard bulbs. 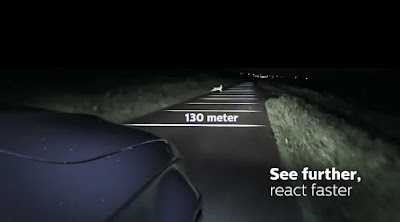 Provides a safer and much more comfortable driving experience at night. All this without upgrading to a messy HID conversion kit.